What is Loss of Eyelashes? The loss of eyelashes mainly means that the breakage or the damage in the hair is of such an extreme extent that the eyelashes have begun to fall off. The loss of eyelashes could be detrimental to your overall health since the eyelashes are responsible for keeping dust, debris and sweat away from your eyes. Without the eyelashes almost anything could irritate your eyes causing them to become irritated and infected. What Are The Causes For Loss of Eyelashes? There could be different causes of eyelash loss. It could stem from something serious like skin diseases or toxins but it can also stem from your water proof mascara. Listed hereinafter are the different causes of eyelash loss. Hormonal changes and even changes in your body as you get older. Changes in the eyelashes when you get older are completely natural since your eyelash follicle slows down the process of growing new eyelashes and may even stop production altogether. Certain medication and endocrine disorders can also cause lashes to fall off or even halt the production of eyelashes temporarily. An example of this would be a person going through chemo therapy which usually involves the falling out of hair. In these situations the only thing you can do is to wait for your body to naturally restore itself after your treatment. Eating food rich in vitamins will also help your eyelashes grow back faster. 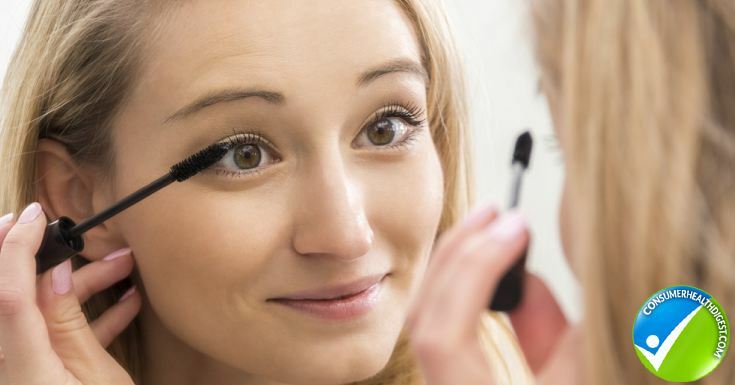 Mascaras, especially those of the water proof variety, because of the chemicals in them, can trigger an allergic reaction that can cause damage to the eyelashes which in turn causes them to fall off. In relation to the previous cause of eyelash loss, excessive tugging on the eyelashes may also cause them to fall off. This happens when you tug on your lashes too hard when curling them or even when removing mascara at night using a makeup remover. According to Doctor Jeanette Graf, a clinical and research dermatologist, “Usually the process of removing mascara, especially waterproof formulas, is the problem. Long-wearing mascaras also tend to be more stubborn to remove and result in aggressive lash handling.” The root of the lash is a very delicate part f our body and must be handled with care. Nutrient deficiency may also cause eyelash loss. Sudden drastic changes in your food intake, which is most common in dieting, may be the reason your eyelashes are falling off. When you’re missing out on Vitamins H, C, E and B6, then it is highly possible that your lashes will become dry and brittle which sooner or later will lead to loss of hair in the eyelash region. What Are The Treatments Available For Loss of Eyelashes? The first step into treating eyelash loss is to determine the cause of the damage to your lashes. You can do this by visiting you dermatologist. If your eyelash hair loss is due to age or any medication or disorder then there is really nothing you can do about it at the moment. In cases where the hair loss is due to age, you can vie for eyelash enhancers. However, if the reason for the hair loss is medication or a disorder then you can only wait to get better and once you get better you can continue eating healthier so that your eyelash hair can grow back to its former glory. If the reason for the eyelash loss is merely an allergic reaction, you can have them test you to find out what is causing this reaction. Usually it is a negative reaction to your makeup products, and then a simple change of these can be of help to you. In more severe cases, such as in madarosis or trichotillomania, it is best to seek medical and psychological help. Is proper diet helpful on this? The proper diet can sometimes be detrimental to the health of your eyelashes. As was mentioned, a sudden drastic change in your food intake can damage your eyelash hair which causes it to fall off. Unhealthy dieting deprives you of the nutrients that your body actually needs. It is important to eat food or take supplements rich in Vitamins H, C, E and B6. These vitamins keep the eyelashes you have with you healthy and at the same time encourage the growth of new hair. How To Get Rid Of Eyelash Loss? The solution would be to eat right and continue taking food that is needed by your body to have healthy eyelashes. Conditioning your eyelashes may also alleviate this problem since it rehydrates your dry and brittle eyelashes. Changing your makeup will also get rid of the problem if it is found that you’re having an allergic reaction to it. Also, being gentle when applying and removing makeup can do a world of wonders to your eyelash health. What Are The Remedies For Loss of Eyelashes? 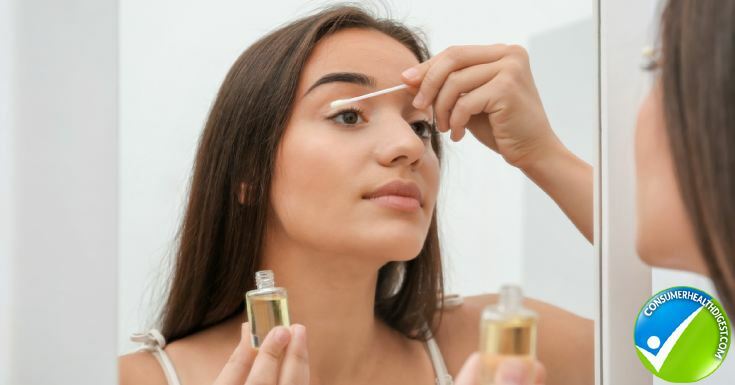 Conditioning your lashes using castor oil, coconut oil, petroleum jelly or any eyelash conditioner will help this situation because by rehydrating the damaged lashes, the eyelashes are slowly restored to their old healthy form. This can be done by using a clean mascara wand or by simply using your clean hands to gently apply these conditioners to the lashes (careful not to apply any on the roots of the lashes) before going to sleep and removing them in the morning. You will have fuller and healthier lashes in no time!